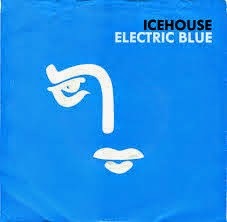 This week's Music Monday song is "Electric Blue" by Icehouse. It was a new wave/synthpop hit in 1987. I hadn't heard this song in years until I heard it by chance on the radio a few days ago. It was a fun musical flashback to my college years. This song was written by Icehouse band member Iva Davies and John Hall (of Hall and Oates). I think it actually has a Hall and Oates sound. I watched very little tv in the 1980's, so most music videos are new to me. I'd never seen this one before, and it is a throwback. The lead singer has a very serious '80's mullet! I hope you enjoy this musical time travel as much as I did.